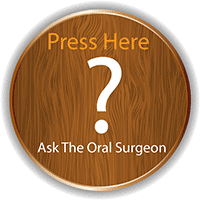 Oral Surgeon Dr. Renato Aves of Tampa, FL is experienced in Piezosurgery, an advanced ultrasonic bone tissue modification technique that offers outcomes without drilling. Traditional surgical techniques involve using rotary drills and other motorized instruments to remove and adjust bone tissue. While effective, these methods often lead to unwanted bone loss and soft tissue damage, which can lengthen your healing time and raise your risk for uncomfortable complications. Dr. Aves and our team are committed to using advanced technologies and strategies to enhance your experience. For this reason, we offer Piezosurgery® at our Tampa, FL oral surgery practice. This ultrasonic system uses vibrations to reshape the tissue for outstanding outcomes. Contact the Tampa Bay Institute of Oral Surgery and Dental Implants today to learn more about Piezosurgery® and schedule a consultation with Dr. Aves. Piezosurgery® uses tiny 3-D ultrasonic waves to gently break apart bone tissue without disrupting the soft tissue around it. To perform Piezosurgery®, Dr. Aves will numb the treatment site (and administer sedation as needed), and then create a tiny incision into your gum tissue. This opening will be just wide enough to insert a small handheld device connected to an electronic machine. Next, Dr. Aves will turn on the machine, calibrating it to the exact frequency that will precisely, effectively reshape your bone. When Do We Use Piezosurgery®? At your initial consultation, Dr. Aves will explain your procedure and explain if Piezosurgery® may be an appropriate treatment strategy for your needs and preferences. More accurate surgery. Using this technique, Dr. Aves will make only the necessary modifications to deliver excellent results. In addition, Piezosurgery® does not require bulky motorized tools, allowing Dr. Aves greater visibility for precise surgery. Lower risks for complications or side effects. Piezosurgery® minimizes soft tissue loss and damage, reducing your chances for bleeding, infection, inflammation, and other post-operative issues. Enhanced comfort. Piezosurgery® is typically much more comfortable for patients, since it requires smaller incisions and less tissue modification. A shorter recovery period. Limiting tissue damage decreases your healing time so you can move on to the next step in your treatment process or get back to your daily life. Reduced anxiety. Many patients feel afraid of traditional drills or have had traumatic past surgical experiences with these instruments. Piezosurgery® eases these anxieties by accomplishing the same outcomes without the sensation of drilling. Piezosurgery® can help you reap the benefits of oral surgery without experiencing the disadvantages of traditional drilling. To learn more about Piezosurgery® or find out if this method can be used during your procedure, contact us today to schedule a consultation with Dr. Aves.